One word to describe this film is AMAZING. 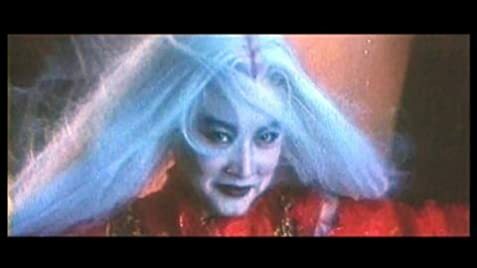 Liang Yusheng wrote The Bride with White Hair novel and Ronny Yu (Bride of Chucky, Freddy Vs Jason) accurately directed this classic Chinese novel. This movie is a perfect, heart felt, tragic love story. What is so great about this movie is the brilliant acting, incredible cinematography, great music and the most un-like Hollywood ending you'll ever see. 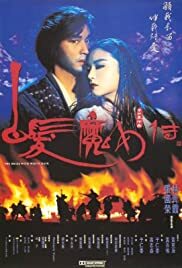 Leslie Cheung and Brigitte Lin played their character very well and their acting was great. Oscar Winner Peter Pau(Crouching Tiger, Hidden Dragon) did the cinematography for this movie and it was Excellent. When you finished watching this movie, it can make you feel linger or a strong feel that last for a few hours. In my opinion, Ronny Yu will never be able to top this film. This film can make you want to see the sequel(The Bride with White Hair 2). Just to mention about the sequel, it is not as good as the first one. The only thing in the sequel that is worth seeing is the last ten minutes of the movie.